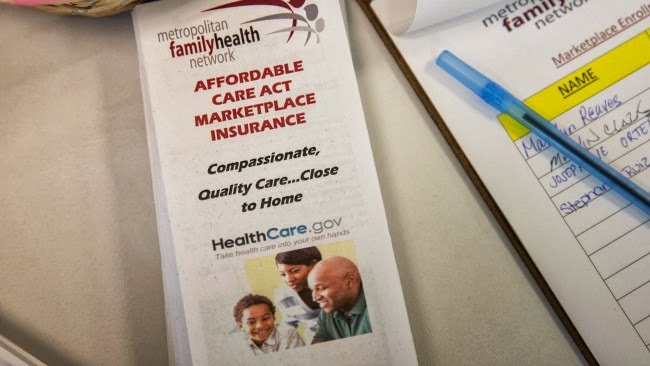 WASHINGTON (AP) — Administration officials say about 476,000 health insurance applications have been filed through federal and state exchanges, the most detailed measure yet of the problem-plagued rollout of President Barack Obama‘s signature legislation. However, the officials continue to refuse to say how many people have actually enrolled in the insurance markets. Without enrollment figures, it’s unclear whether the program is on track to reach the 7 million people projecting by the Congressional Budget Office to gain coverage during the six-month sign-up period. Obama’s advisers say the president has been frustrated by the flawed rollout. During one of his daily health care briefings last week, he told advisers assembled in the Oval Office that the administration had to own up to the fact that there were no excuses for not having the website ready to operate as promised. The president is expected to address the problems on Monday during a health care event at the White House. Cabinet members and other top administration officials will also be traveling around the country in the coming weeks to encourage sign-ups in areas with the highest population of uninsured people. The first three weeks of sign-ups have been marred by a cascade of computer problems, which the administration says it is working around the clock to correct. The rough rollout has been a glaring embarrassment for Obama, who invested significant time and political capital in getting the law passed during his first term. The officials said technology experts from inside and outside the government are set to work on the glitches, though they did not say how many workers were being added. Officials did say staffing has been increased at call centers by about 50 percent. As problems persist on the federally run website, the administration is encouraging more people to sign up for insurance over the phone. The officials did not want to be cited by name and would not discuss the health insurance rollout unless they were granted anonymity. Despite the widespread problems, the Obama administration has yet to fully explain what went wrong with the online system consumers were supposed to use to sign up for coverage. Initially, administration officials blamed a high volume of interest for the frozen screens that many people encountered. Since then, the administration has also acknowledged unspecified problems with software and some elements of the system’s design. Interest in the insurance markets appears to continue to be high. Officials said about 19 million people had visited HealthCare.gov as of Friday night. People seeking insurance must fill out applications before selecting specific plans. The applicationsinclude personal information, including income figures that are used to calculate any subsidies theapplicant may qualify for. More than one person can be included on an application. Of the 476,000 applications that have been started, just over half have been from the 36 states where the federal government is taking the lead in running the markets. The rest of the applicationshave come from the 14 states running their own markets, along with Washington, D.C. The White House says it plans to release the first enrollment totals from both the federal and state-run markets in mid-November. An internal memo obtained by The Associated Press showed that the administration projected nearly a half-million people would enroll for the insurance markets during the first month. Officials say they expect enrollments to be heavier toward the end of the six-month sign-up window. In an ironic twist, the problems with the rollout were overshadowed by Republican efforts to get changes to the health care law in exchange for funding the government. That effort failed and the government reopened last week with the health care law intact. Stung by that defeat, some Republicans are now calling for the resignation of Health and Human Services Secretary Kathleen Sebelius. The White House says it has complete confidence in her. House Republicans have scheduled a hearing next week to look into the rollout problems. White House allies say they’re confident the problems are being addressed.